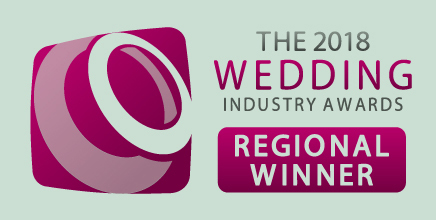 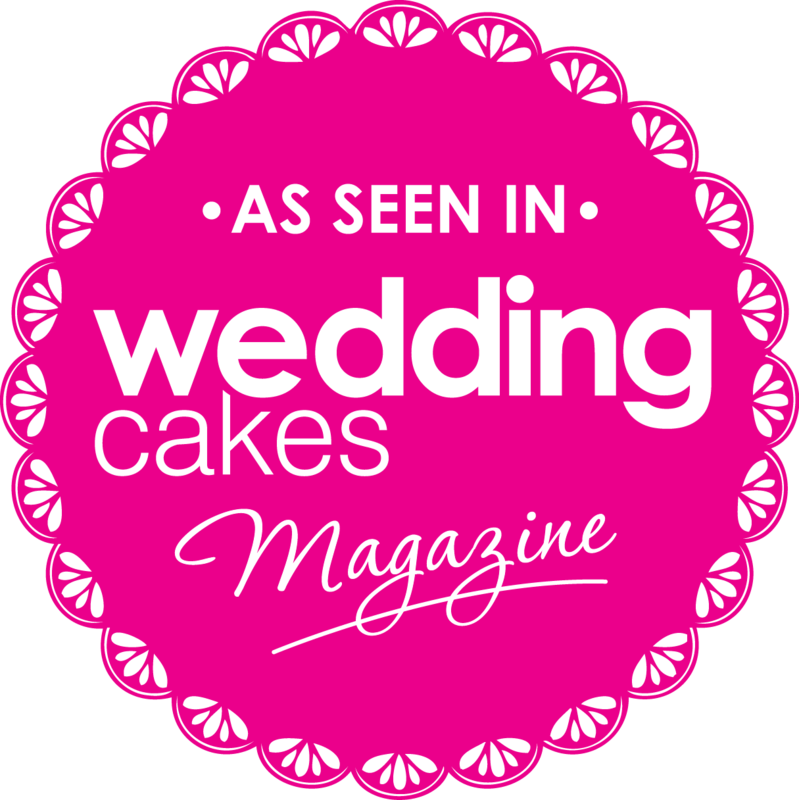 Lee and Emma married at the East Sussex National Golf Club just outside Uckfield, East Sussex. 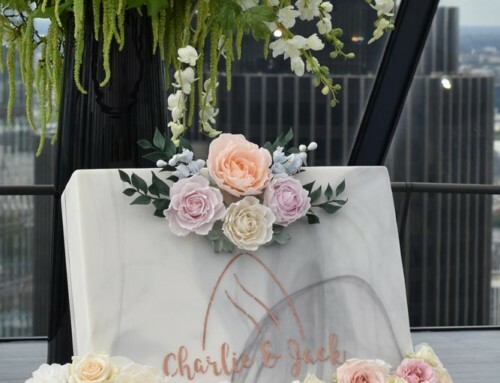 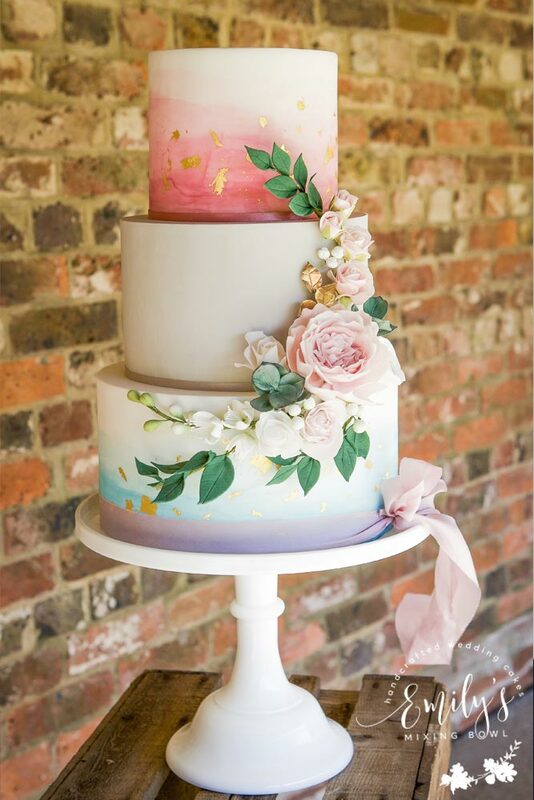 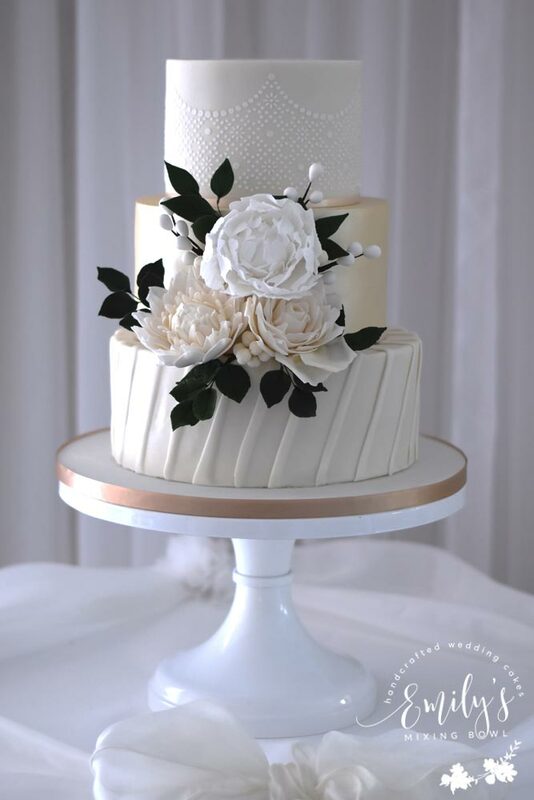 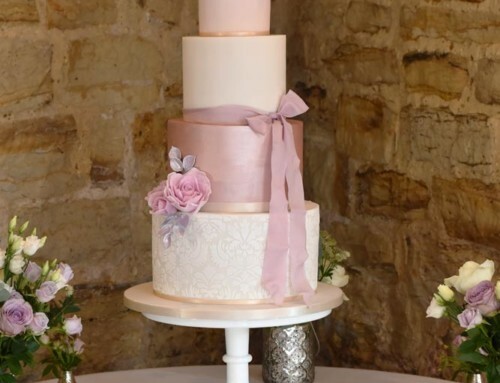 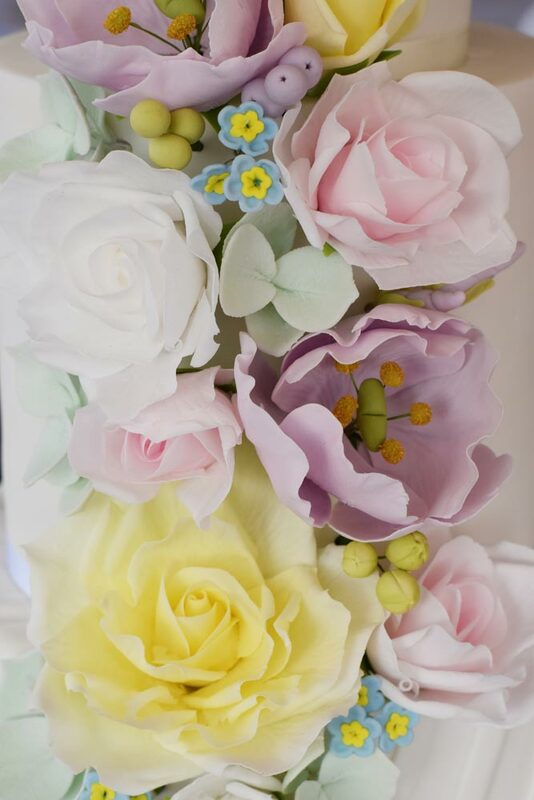 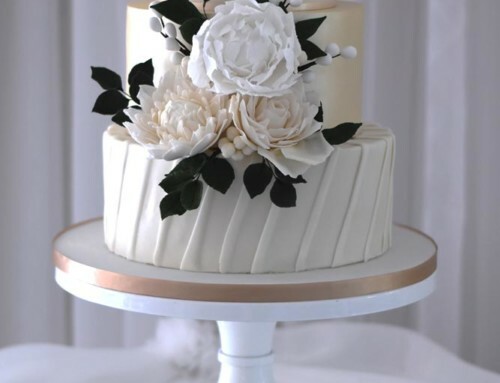 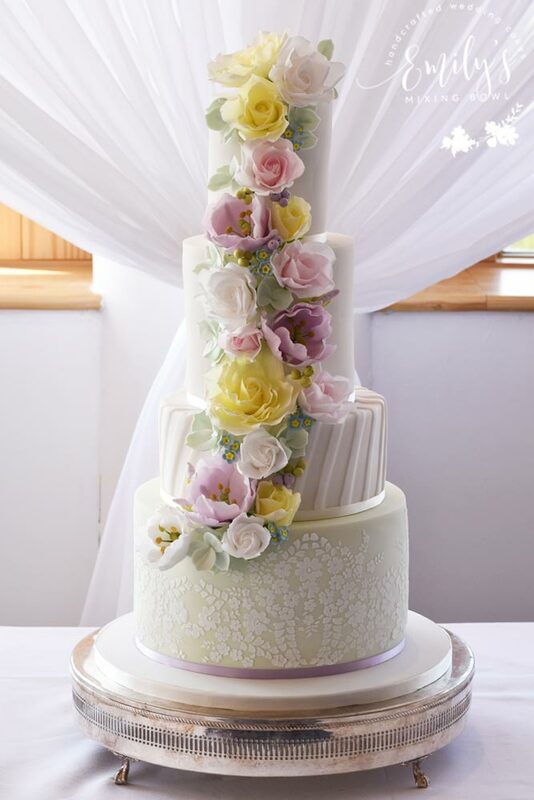 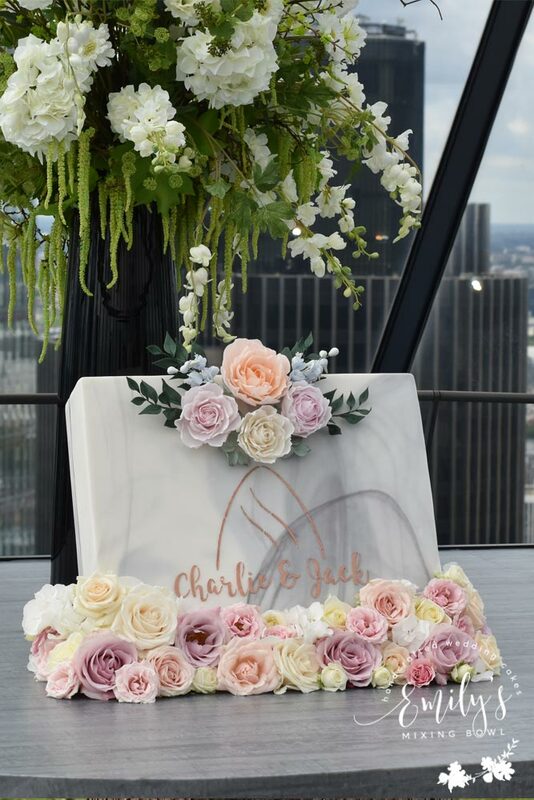 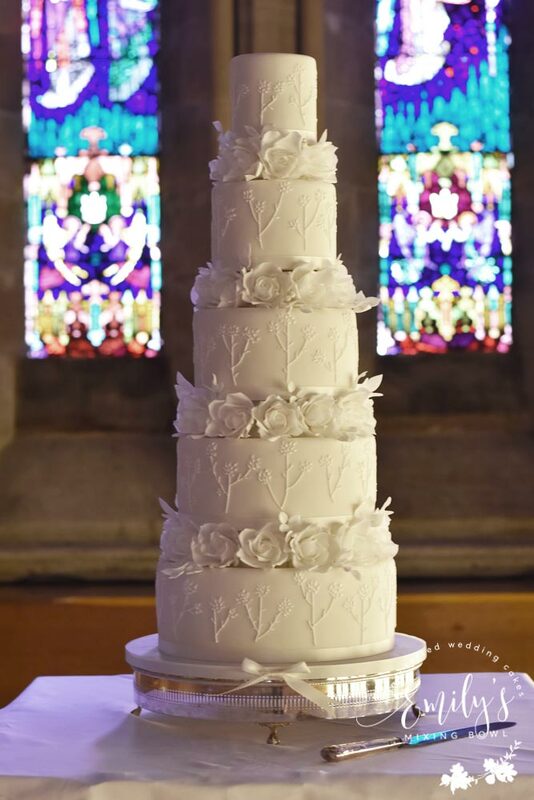 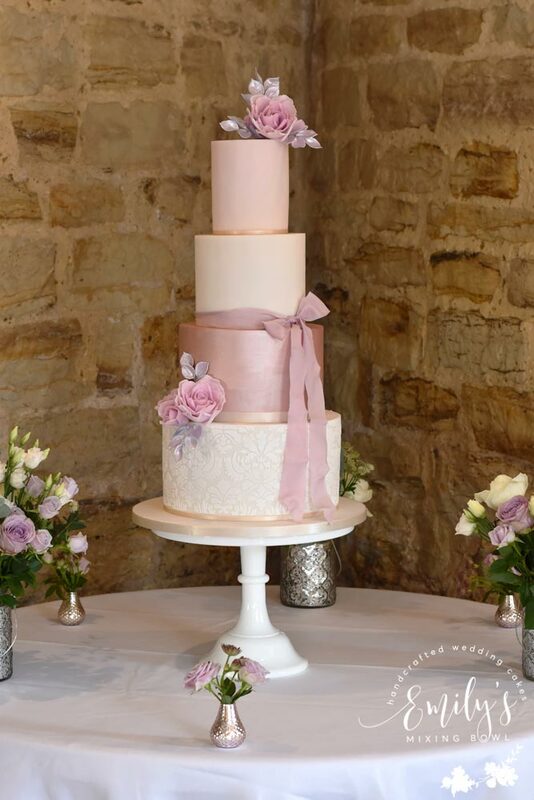 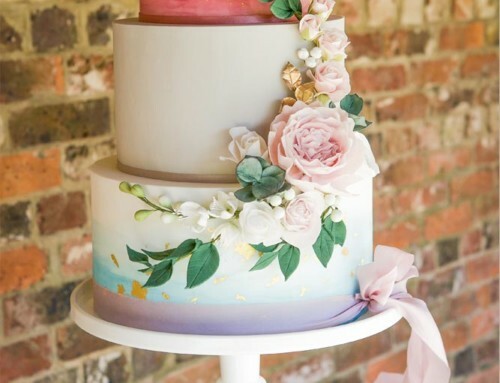 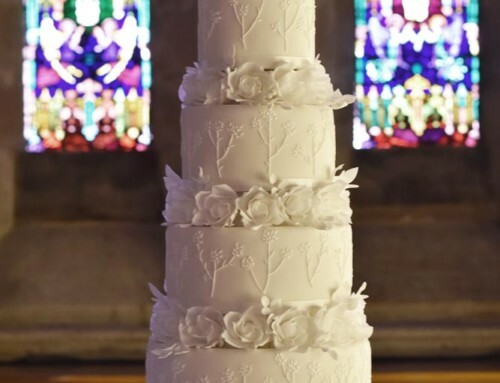 Their wedding theme was pastel colours and they had this 4 tier cake with a mint green bottom tier with a lace stencil, pleated second tier and finished off with a cascade of pastel coloured sugar flowers to match those in the bridal bouquet and wedding flowers. 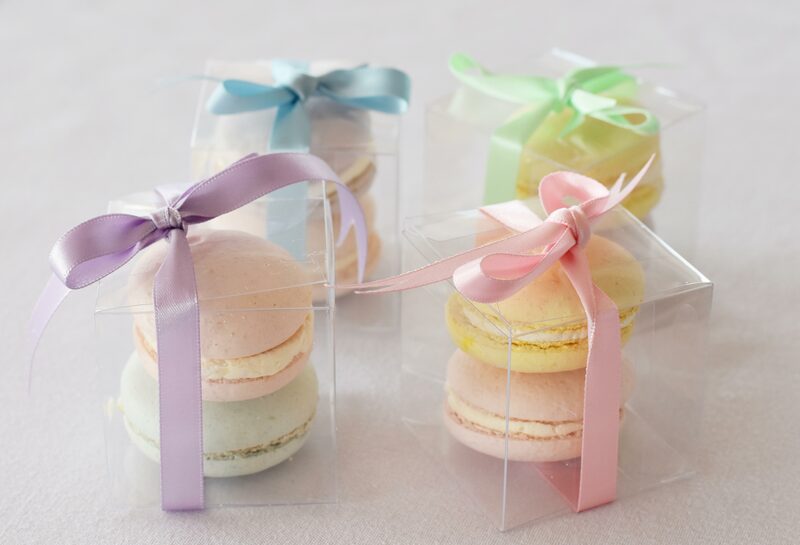 Lee and Emma also had macaron wedding favours for all of their guests in pastel colours which are £3.95 per box of two.